The tourist resort is located between the Canin and the Montasio mountains and offers wonderful views that attract Italian, Austrian and Slovenian tourists all-year round. During the winter season 15 km of slopes, modern services and technologies (among which a modern cableway) draw skiers and mountain climbers to an height close to 2000 meters in order to practice the different distance medleys surrounded by a breath-taking view where the snowfalls are always heavy. Moreover, when the year goes on and the landscape becomes green, the Canin cableway is open and the area becomes the scenary of hikes and Nordic walking that lead the tourists to discover quiet and hidden places. Not far from here, there’s the enchanting Predil lake where it is possible to practice canoa, windsurf, hydro-bike or just lay down and relax in a peaceful site. Therefore, it is an alpine village characterised by a broad offer of activities to practice in order to fulfil the needs of a wide variety of targets both in summer time and in winter. 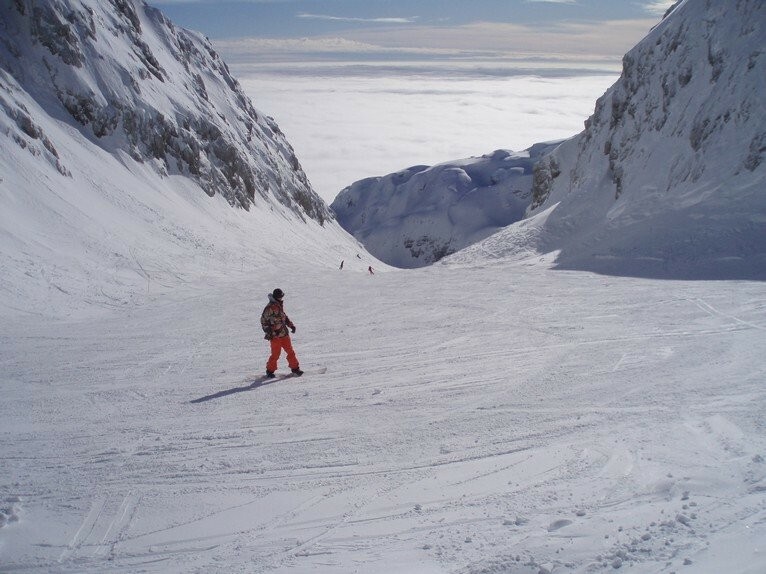 Finally, we remind you that the works for the connection with the Slovenian ski-resort of Bovec will be finished within December 2009 when, thanks to a new modern cable-way for 100 persons, the two ski resorts will present an expanded and international offer. Get Snow Reports, Powder Alerts & Powder Forecasts from Sella Nevea - Kanin straight to your inbox! The Slovenian ski resorts of Maribor Pohorje, Kranjska Gora, Cerkno, and Kanin have all undergone improvements for this winter.